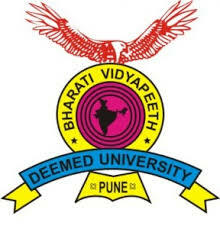 Bharati Vidyapeeth Deemed University has some more specializations in the MBA program to help students create a niche for themselves through added management skills in some of the off-beat fields which are turning out to be really lucrative pathways in today’s world. Each course is of two year duration. The motive of these programs is to up skill the students so that they can add value to an organization as well as efficiently take up their responsibilities as a team leader and motivator. They will also develop business strategies which will be customer focused so that it helps them play a substantial role in the society. An intensive grounding in management and an expedition into the policy issues pertaining to management and biotechnological industry. The candidates who enrol for this program can grasp the technologies regardless of the level of the technical education they possess so that they can put the expertise they acquire to best use. The candidates will also learn about the regulatory role of federal and state governmental organizations as well as global bodies along with professional forums.To gain an indepth understanding regarding the business of biotechnology, the student must enrol for the course and they will be exposed to the strategic, financial and human resource management in the industry. The objective of this course aims to prepare the students to excel in the business environment by ensuring that they possess the required analytical skills to perform. The MBA program in Business Analytics spreads its wings to both technical and business arenas. Under the purview of this course, the university offers delivery of business metrics and definition, performance management, business drivers, data visualization etc.This acts as a knowledge bank of powerful techniques for the students and builds on a strong foundation in the field of marketing, finance and operations. There is a dire need to recognize the importance of sincere working personnel who can choose, recruit, provide training and cater to the needs of the employees. This applies to both big and small organizations. The human resource management in smaller organizations specially supervise the payroll, disciplinary procedures, training and recruitment. While the human resource managers in the larger organization may focus on each area individually related to purely strategic or analytical role.The MBA degree in Human Resource brings together the important elements of the general MBA programs and then focuses on the key areas like mediation, recruitment, planning and labour relations. They also receive solid grounding based on concepts in human resource management and also moves towards developing competencies in order to become extremely efficient individuals by developing and presenting the competencies along with hands on training which consists of working upon projects related to real world consulting and services for the community. It also includes going through rigorous assessment about the overall accomplishments and a highway to rewarding and successful careers. International domains of business are explored in this programme and a special emphasis is laid on it. After the completion of the course, students will be able to analyze and put into theory the cross cultural changes in different operation along with an added focus on global investment and trade environment. It deals with the theories of foreign investment and direct investment, about the world monetary system and financial markets and the structure and strategical tactics used in a multinational business environment. The objective of the management degree in Information Technology specialization is to focus on the role of information systems and technology in present day entrepreneurship and also aims at providing students with the required edge in the technological environment when it comes to a managerial career. The Information technology related concerns should be handled by a tech-savvy business leader who in turn should be able to foster the decision making process easier by possessing the required expertise. These kind of managers can provide a fresh approach to the technological glitches and boons since they have the IT experience and knowledge better than others. The career opportunities for this field range from positions which lay emphasis on technical know-how which includes information system manager, IT project manager, E-commerce development manager, E-commerce entrepreneur along with positions which have a primary managerial focus which includes IT consultant, E-business manager, corporate knowledge manager, management consultant, E-commerce entrepreneur, E-commerce process manager etc. The role of the information technology manager is to develop and manage IT resources along with the sellers of the IT and consultancy firms. To know more about other MBA Specializations offered by BVDU and how can you apply for them, read this article. For any other query feel free to contact us.